The food supplement business is a very competitive area of the fitness field. More and more people are looking for ways to sculpt their body so that it looks exactly the way they want it to look. The Grenade Thermo Detonator Review features another supplement that claims to help to control your appetite, increase your focus and alertness, and help you metabolize your body fat levels. If you want to know the truth about a product it's easier than ever to find out if it really works or not. The Internet is full of product reviews that have been written by people who have actually used the products. The company that produces Grenade products was launched in 2010. It has drawn the attention of everyone who is serious about staying in shape, from regular fitness professionals to personnel who belong to Special Forces units in the military all over the world. 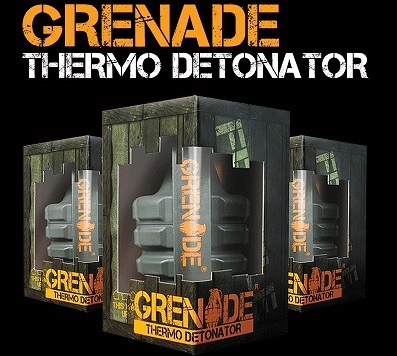 The Grenade Thermo Detonator has been able to recognize several major achievements from this brand such as several for the Breakout Brand and a product of the year award for diet and weight management consecutively from 2013 to 2015. Though Grenade Thermo Detonator reviews can give you some ideas of how the product performs, it is equally important to know the ingredients of the product to see if it is the right one for you. The reviewers took everything into consideration, from the taste to how it backed up its claims. If you are interested in purchasing this product you may want to take all of the reviews – the good, the bad and the ugly – and see if it will deliver what you are looking for. "This product consists of capsules and they don't have any specific taste and no aftertaste." "I can see better results based on other fat burners. I have found the best time to take these is when you want to trim down. It starts working right away if you take them on an empty stomach and start out with cardio first thing in the morning." "This is the best fat burner that I have ever tried. I don’t get that jittery feeling like I have from other products." "I tried using this supplement compared to Oxi Elite and the Grenade Thermo Detonator was much more effective. I had to take two of the Oxi Elites to do what one of the Thermo Detonators would do. I get more servings of the Thermo Detonator so they go a lot farther and are a better value for me." "After a few days I felt my appetite go down. I have taken fat burners in the past and many have had capsaicin as an ingredient. That gave me heartburn but the Grenade Thermo Detonator did not." "Make sure that you stay hydrated and drink lots of water. Do not use this product if you cannot tolerate green tea or you will end up jittery from the caffeine." "I have just started taking the Grenade Thermo Detonator because I was crashing mid-way through my day after getting up and working out at 4 am. I have found that I have a higher level of energy using this supplement and I am only taking one tablet in the morning on an empty stomach and one half way through the day. I am getting a good amped up feeling." "For me I have found some side effects that I am not happy with. I feel queasy most of the time and it has made my workouts more difficult. I was hoping to lose some weight but for me it’s not worth the side effects." "After reading all the Grenade Thermo Detonator reviews, I decided to try this product but it was not for me. After taking it on two different occasions and it gave me a headache that wouldn't go away and a continuing feeling of nausea. I felt like I was pregnant. I can see that this is a good product but it just didn’t work well for me." "I used this product several years ago and then stopped taking it. I went back to it recently because I wanted to lose some weight. Well I did lose weight even though I have been taking half the suggested dosage. I did lose 6 pounds in two weeks but I have been very jittery." "While it is true that this product helps my endurance level, I am the one who is participating in the workout and ultimately the one who is burning the fat. It’s like having a couple of Red Bulls except without the sugar!" "The company did a great job in marketing the Grenade Thermo Detonator and provided information on the list of ingredients and any side effects. There are no side effects to speak of but the lift I get from this supplement is not much different from consuming a cup of espresso or some caffeine tablets. I didn’t find it to be worth the money that was charged. I really think you can see more benefits from green tea for much less money." Will Walking Tone My Thighs? Where Do You Lose Fat From First? Do Bananas Make You Fat? Why Am I Losing Hair After Losing Weight? Are You Suffering From Sleep Drunkenness?